Hammer crusher is one of the commonly used mining machinery equipment for beneficiation. Because of its high production capacity, simple structure, safety, reliability, compact design, and easy installation and use, it has a wide range of applications in various industries. 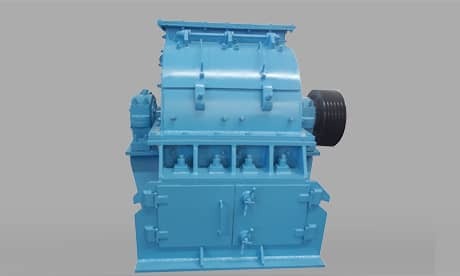 As the hammer crusher is an impact rotor crusher with a ring hammer, during the work process, the hammerhead and the sieve plate will continuously impacted and rubbed by the material, and then be damaged. The worn hammerhead has weak impact ability during rotation, and the material cannot be broken in time, thus blocking the sieve hole. Therefore, the hammer head and sieve plate need to be improved. Luoyang Dahua operates a series of crushing sand making, industrial grinding, and beneficiation series equipment. You are welcome to click our website for online customer service to conduct hammer crusher price and other detailed consultations. Dahua will wholeheartedly serve you. Previous Article：What's the Main Function of Mobile Crushing Plant? Next Article: Which Factors cause the Sand Maker Appearing Abnormal Sound?